DANCING BEARS INN offers 18 AAA approved units with a wide variety of choices from single and double motel units to vacation homes that sleep four, six or eight persons. Guests are served by a friendly and helpful staff always willing to go that extra mile. All units are well maintained with plush beds, satellite TV, full housekeeping services, free breakfast and snacks all day! All units have free long distance phone calls, free high speed internet-WiFi and are in a cozy, quiet location 1/2 block off the highway. 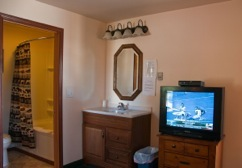 Some units have in-room jet tubs for delightful relaxation after a day in the Park. The vacation homes, each beautifully decorated and unique unto itself, have fully equipped kitchens and other features such as decks, outdoor furniture, picnic tables, fire pits, barbecues, nice yards, trees, landscaping and parking. 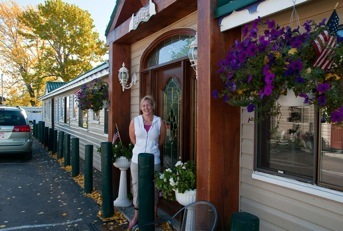 The houses offer a wonderful homey experience for families and larger traveling groups. 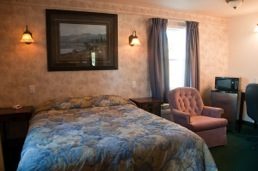 At the Dancing Bears Inn and Suites the customer is “King” and we’ll let you know it! We’re within easy walking distance to fine restaurants, cafes, shops, golfing, fishing, hiking trails, bus tours and horse riding, car rentals, Amtrak Station, churches, and library. East Glacier Park is the gateway town to the spectacular east side of Glacier National Park.